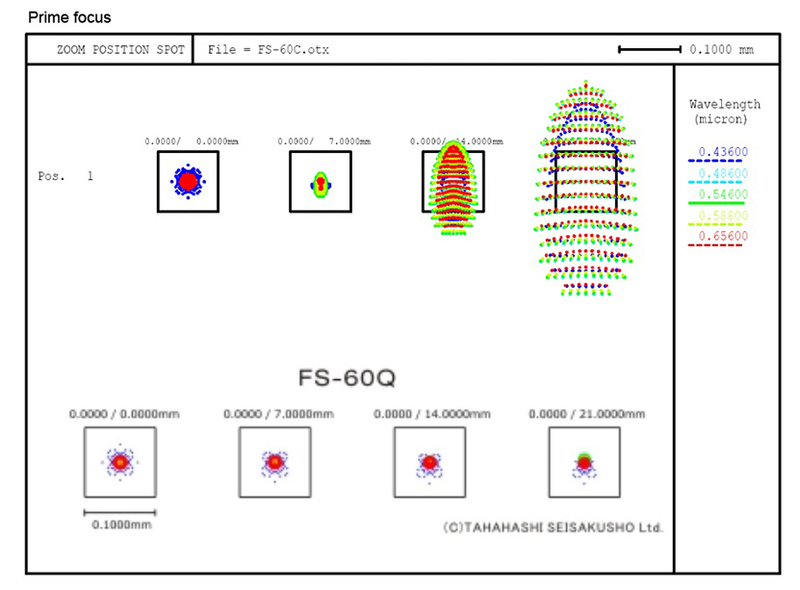 A comparison spot diagram of the basic FS-60 (Top) and FS-60Q (bottom). The off-axis improvement is considerable. Credit: Takahashi Japan.